The Standing Stone: Roscrea Castle, Co. Tipperary. 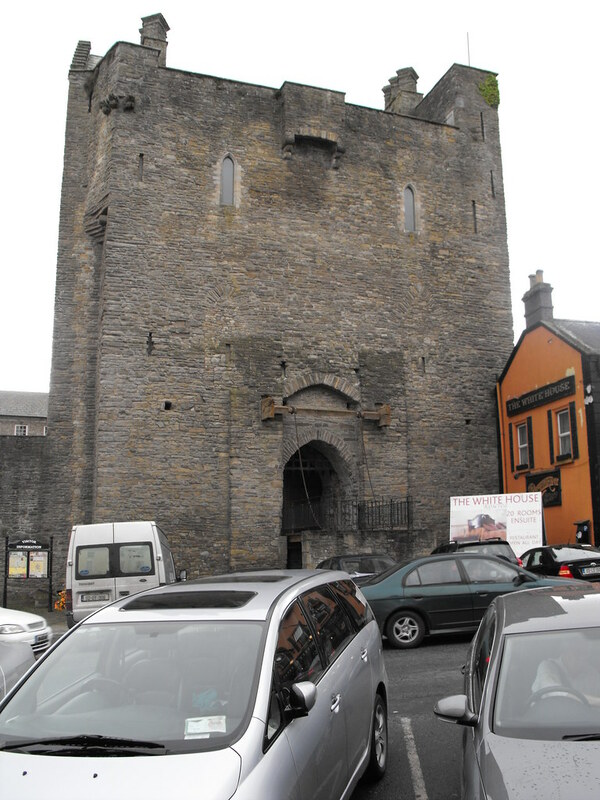 Location – In the very centre of Roscrea town on Castle Street. OS: S 136 894 (map 60). Description and History – Although this castle pre-dates the later medieval tower houses it looks and feels like one and may represent a very early development from the sprawling medieval castles to the later and more compact tower houses. 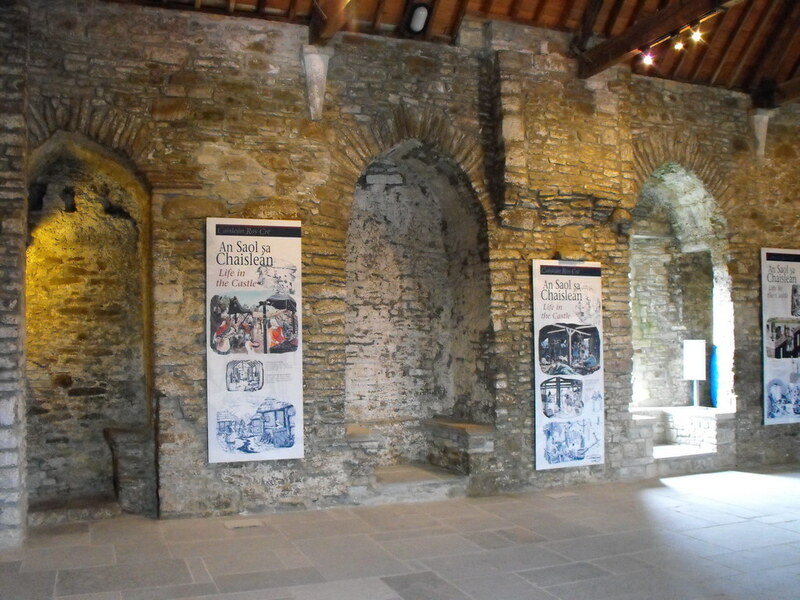 This multi-period site was in use from the 13th century until the 20th century and gives us a full history of Ireland under occupation. Roscrea was an important ecclesiastical site before the Norman invasion and was a natural site for substantial Norman defences. 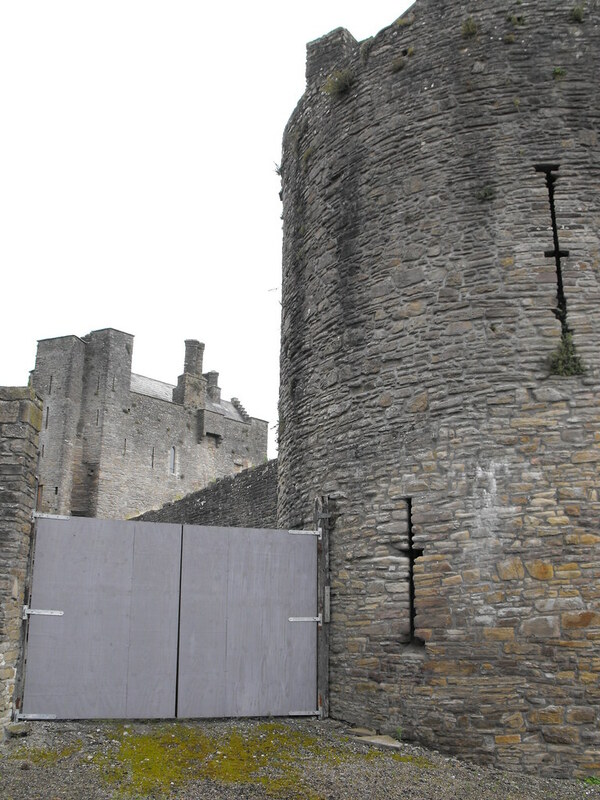 As part of subduing the midlands King John decided to build a castle at Roscrea in 1213. 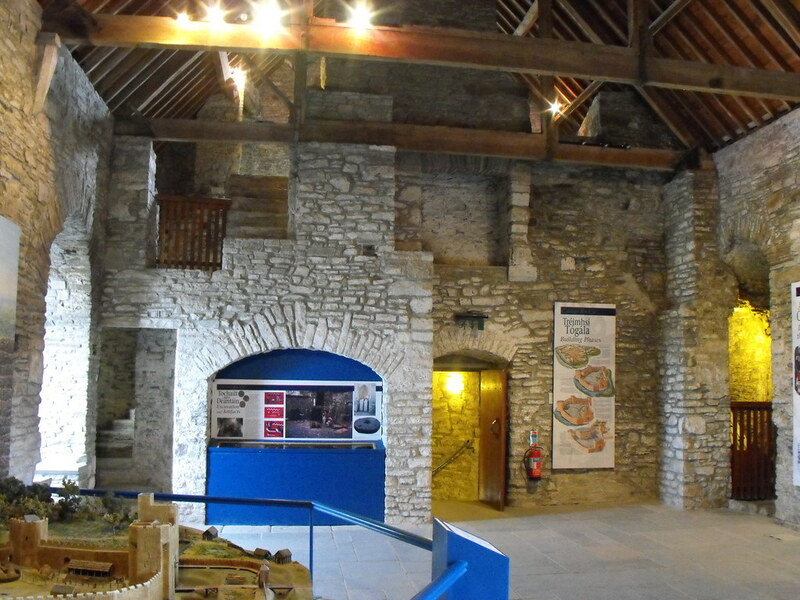 Work does not appear to have begun at the site until the 1240’s during the reign of Henry III. The site of the castle belonged to the church and was confiscated by the Normans. 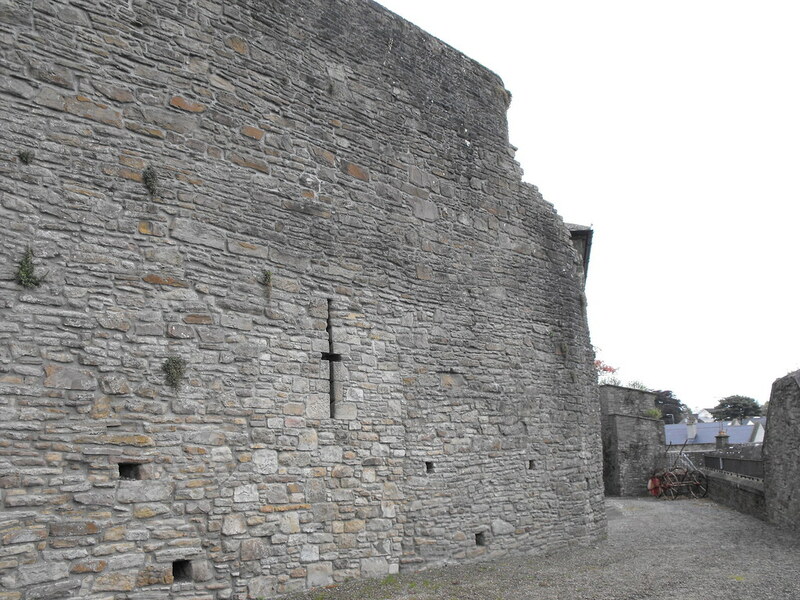 The bishop of Killaloe opposed to this and threatened to excommunicate those building the castle. He was bribed with land and work on the motte and bailey resumed. The castle was intended to be a royal castle but was granted to the Butlers as they were very powerful in the region and had an important castle not far away at Nenagh. In 1277 it was decided to rebuild the castle in stone and £634 was allocated for this with a further £1000 being spent to expand the castle with a man named John de Lydyard being placed in charge of the work. The total expenditure for the castle cannot be calculated due to incomplete records but it appears that it was an expensive undertaking. The castle does, however, appear to have been built where the earlier timber castle stood and archaeological evidence indicates that the stone walls now stand where earlier timber walls stood. The reason for this vast expenditure on the castle is largely due to the discovery of the silver mines near Nenagh and the fact that John de Lydyard was in charge of the mines also. The purpose of this castle, apart from defence, appears to have been as a prison with many references to prisoners at the castle as well as many prisoner deaths. 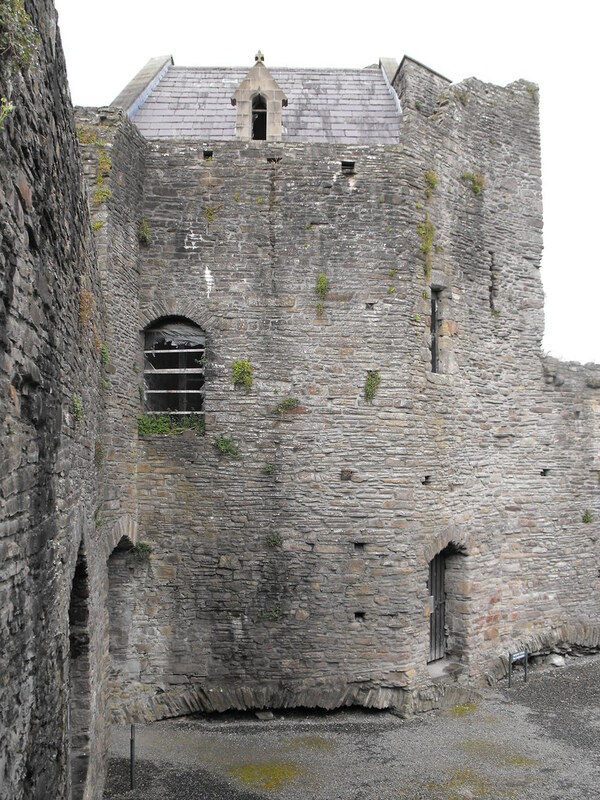 The building of the castle saw Roscrea rapidly grow in size from a small ecclesiastical town to a defensive town. The urban centre of the town shifted from the monasteries to the around the castle. For the next few centuries Roscrea remained peaceful and escaped large violence during the Gaelic resurgence largely due to intermarriage and good relations between the Butlers and the O’Carrolls. During the Wars of the Roses in Britain in the 15th century, Butler power waned and the O’Briens of Thomond the Fitzgeralds of Kildare began extending their power towards Roscrea, both seeking to fill the vacuum. As a result of the Butlers close relationship with the O’Carrolls the castle and its lands came more and more under O’Carroll influence and it even appears that for periods of time the O’Carrolls actually occupied the castle. This tense political situation in the 15th century can be marked by a revolt of friars in 1477 which badly damaged the castle and resulted in the destruction of the friary after which the present friary was built. However, Roscrea suffered under the O’Carrolls and the town became described as a ghost town although the records we have are English records and full anti-Irish racism. A decline seemed inevitable as many living in the town were Butler supporters and were even driven out by the O’Carrolls or left of their own accord. The revolt of 1477 probably didn’t help matters either. When the Butlers tried to get back their lands in the midlands their good relationship with the O’Carrolls broke down and war erupted between the two families. After three wars the Butlers won out and set about repairing the severely damaged castle and town as a result of years of neglect and conflict. 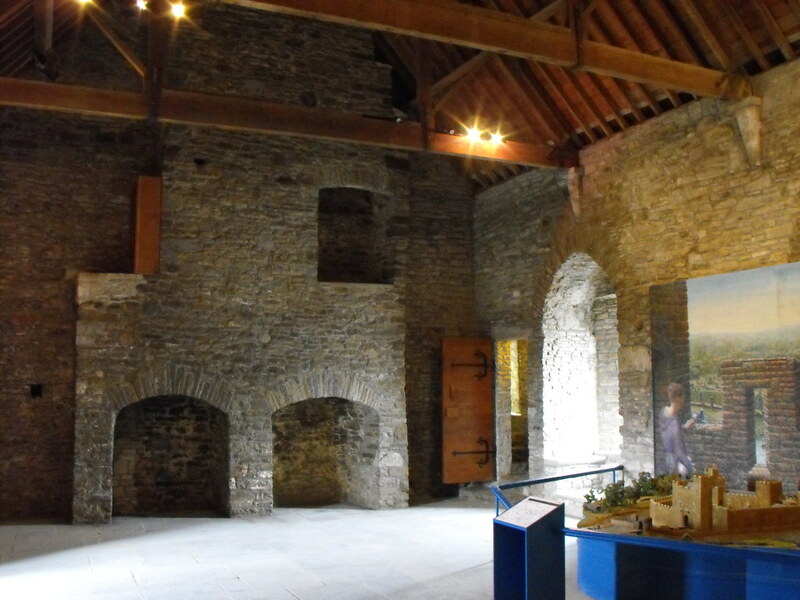 However, during the rebuilding of Roscrea in 1568 there was a dispute among the Butlers. The tenth earl of Ormond, Thomas Butler (known as the Black earl) was based in Carlow and decided to shift his focus to Tipperary and this came at the expense of his younger brothers Sir Edmund Butler and Edward Butler. Eventually hostilities broke out and Edmund and Edward marched on Roscrea, took the castle and resumed hostilities with the O’Carrolls. This was the beginning of a revolt and the brothers tried to overthrow their brother and royal power in Ireland. They were unsuccessful and the Black earl soon regained power. The castle was then put up for rent by the earl and saw many tenants over the coming century including many Butlers from other branches of the family. By 1596 the Butlers has driven the O’Carrolls out of the Roscrea area. 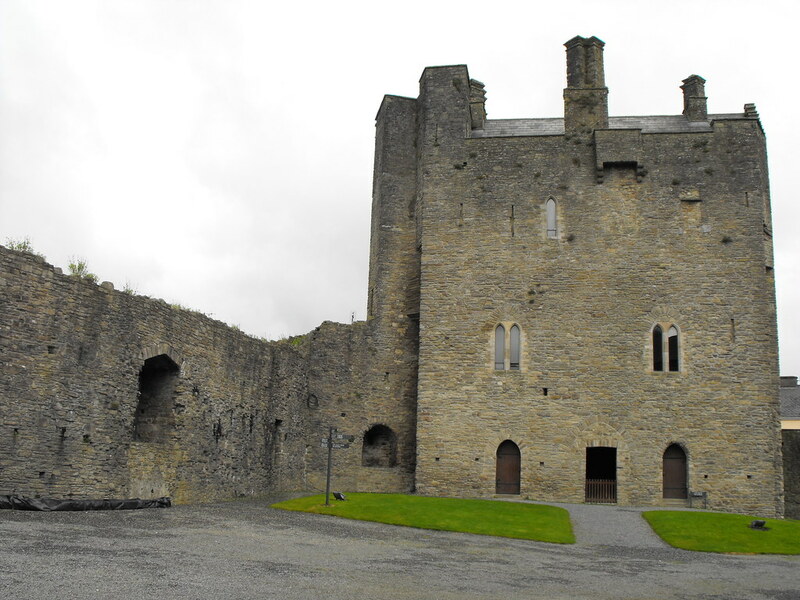 The first half of the 17th century was relatively peaceful for Roscrea and the castle passed from Butler to Butler. However, in 1649 the castle was taken by the O’Neils and came back under Irish control – it was quickly retaken by Cromwellian forces in 1650. The castle was garrisoned under Cromwell and was one of the castles listed for destruction in 1692. 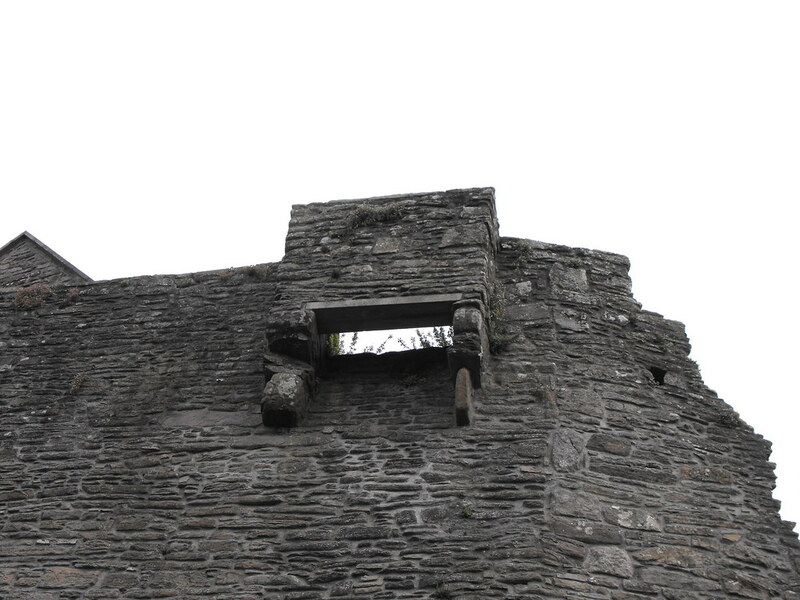 Although many castles were unfortunately destroyed Roscrea was spared this fate and was allowed to stand. After centuries of control the Butlers sold the castle and town to Robert Curtis of Inane in 1703 who in turn sold it to John Damer in 1722. Within the castle courtyard the Damers built their family home, Damer House (which I will be dealing with separately). 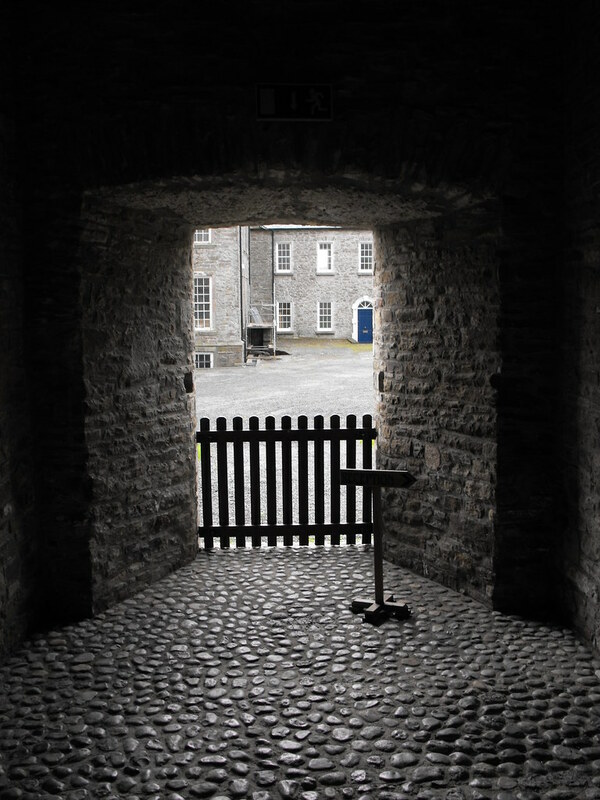 From the early 17th century there was a permanent barracks in Roscrea and the castle eventually was used for this purpose from 1798 onwards with roughly 350 men stationed there. By this time the castle was in poor repair with its gatehouse blocked up the roof caved in. The roof was repaired in 1850, although by the turn of the 20th century the castle appears to have been completely abandoned. It became a National Monument in 1908 and came under the care of the county council after the War of Independence in 1922. The whole site, including Damer House was handed over to the state in 1986 who have conserved and restored the castle. I commend the OPW for their excellent work that has been done here. 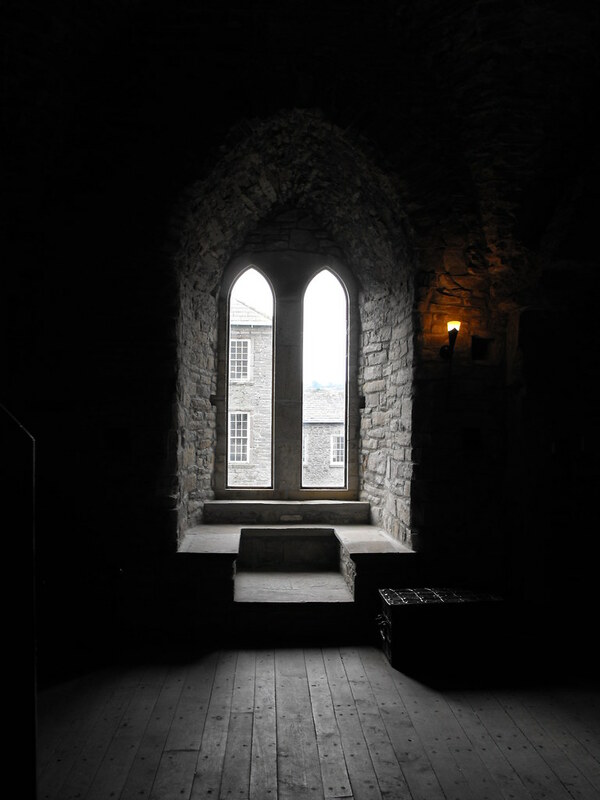 The castle is beautifully preserved, as are the grounds, and elements such as the machinations of the gatehouse, which have long since rotted away, have been restored. This is a keepless castle and the emphasis is on the gatehouse which serves as the main residence. The curtain wall the E and W towers also survive. The castle is 17.2m x 11.5m and three storeys high with 18th century chimney stacks and a 19th century slate roof. A river protected the castle on the E side and moat on the other sides with access to the castle via a drawbridge. 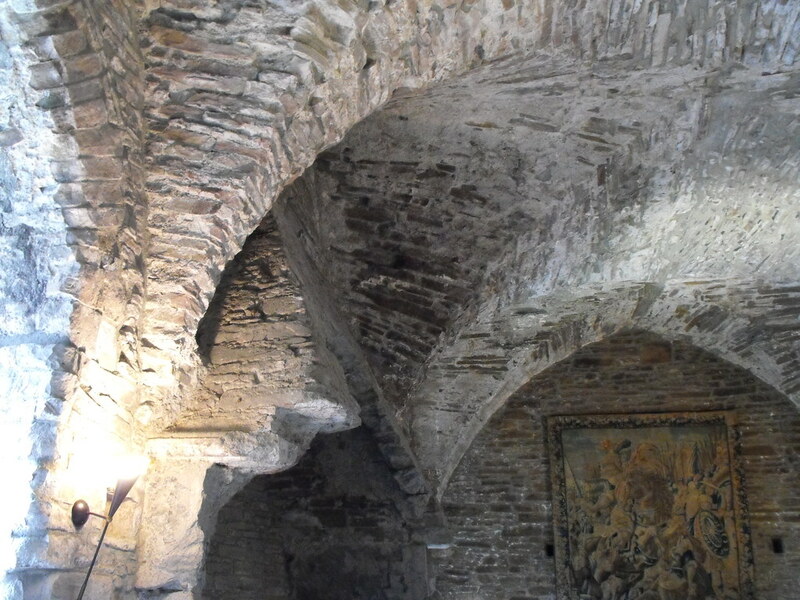 The entrance to the gate house has a barrel vaulted ceiling which was largely collapsed before it was restored recently. There is a basement prison on the ground floor that can only be accessed through a trapdoor. It is inaccessible today. A spiral staircase site in the E corner of the tower and through this all floors are reached. 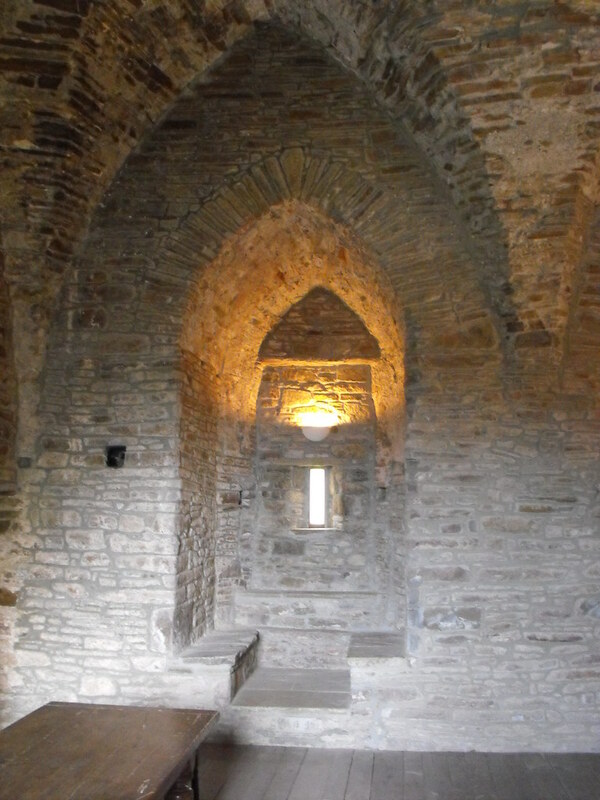 The staircase differs to the later staircases of tower houses in that it is wider and the steps made of many smaller stones as opposed to one large block. There is much more skill in the making of the steps this way and the craftsmanship is wonderful to see. 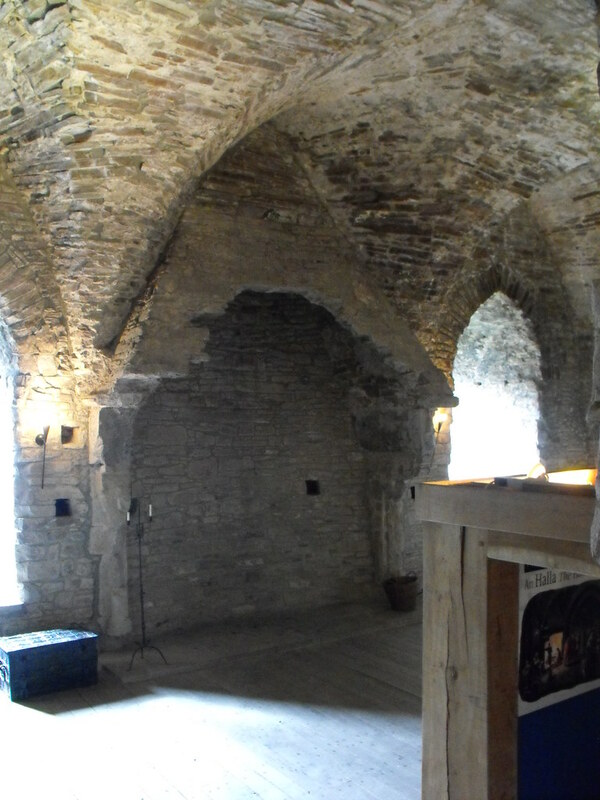 The main hall of the castle is on the second floor and is one of the most impressive castle halls I have seen mainly because of the groin vaulted ceiling which is very well preserved. Lancet windows light the room and there is a large fireplace in the centre of the S wall. 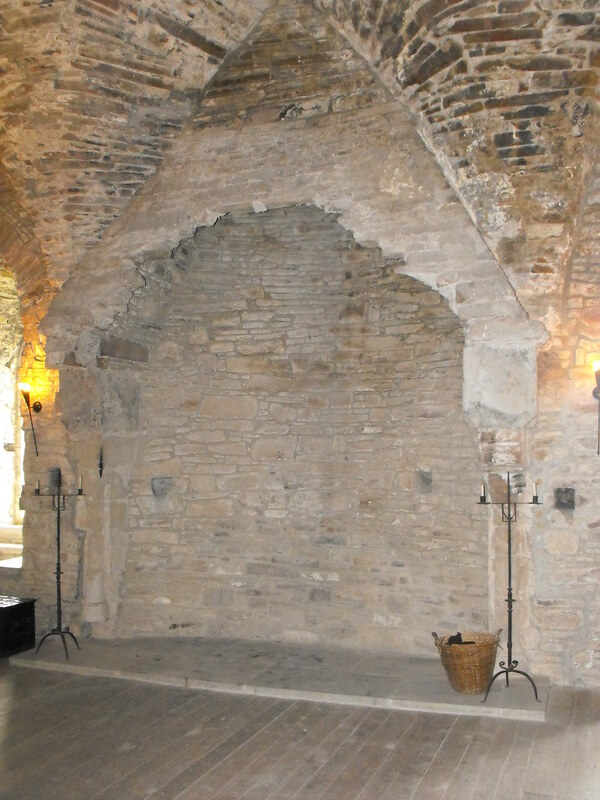 The fireplace with dogtooth capitals and has large canopy which is partially broken. 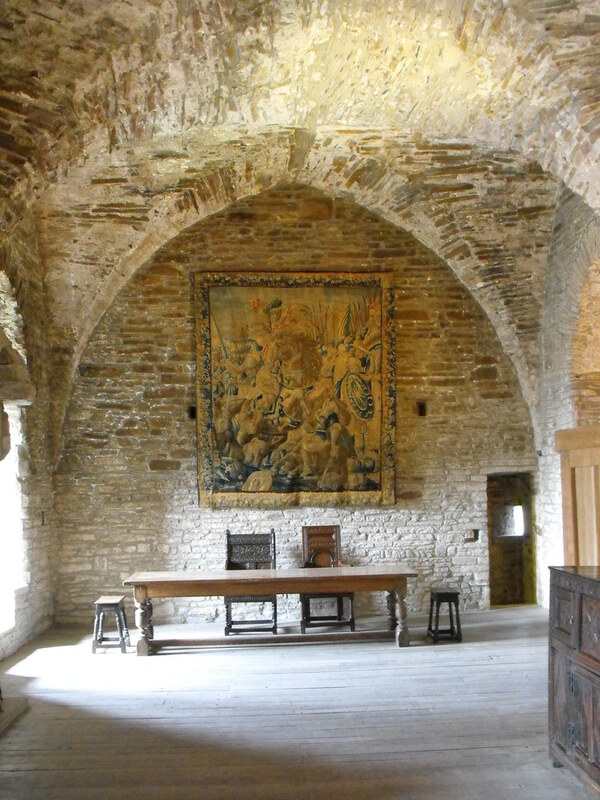 The drawbridge was controlled from this room and a garderobe is also located on this floor hidden in a mural passage. A now inaccessible (to the public) spiral staircase in the NW corner of the tower leads to a wall walk level and begins on this level. The third floor was added in the 17th century. 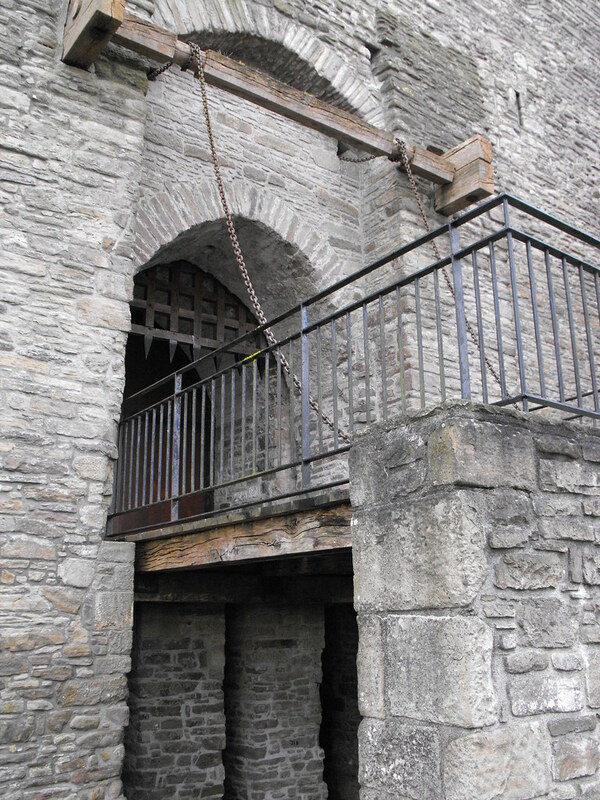 Outside the curtain wall is defended by many large cross-loops as well as the two towers. The W tower is three storeys high and is unfortunately not open to the public as is the E tower which is two storeys high. Impressive stucco plaster is apparently located in these towers and the E tower has a vaulted basement. This castle is fantastic and very well presented with good facilities that are inexpensive. I thought I wouldn’t be there long but ended up spending most of the day there – mainly staring at the groin vaulted ceiling. Difficulty – Easy to get to and get around. Spiral stairs are always tricky for those of us that are cursed with big feet. For more medieval castles, click here. View of the castle and gatehouse from castle street. Close up of the restored gatehouse. View of the castle from behind the E tower. The curtain wall with cross-shaped loop. View of the castle from Damer House. Looking toward Damer House from the gatehouse. 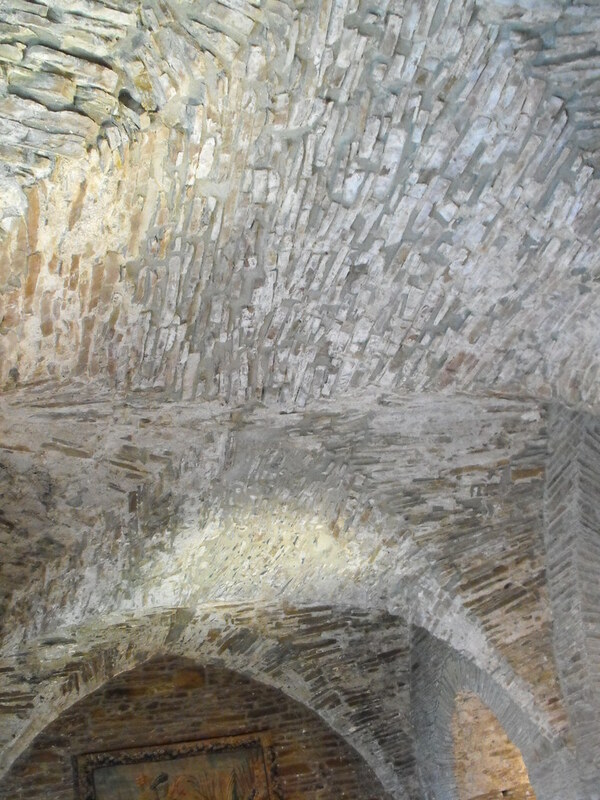 The beautiful groin vaulted ceiling on the first floor. Lancet window on the first floor. The damaged sloped chimney cover. 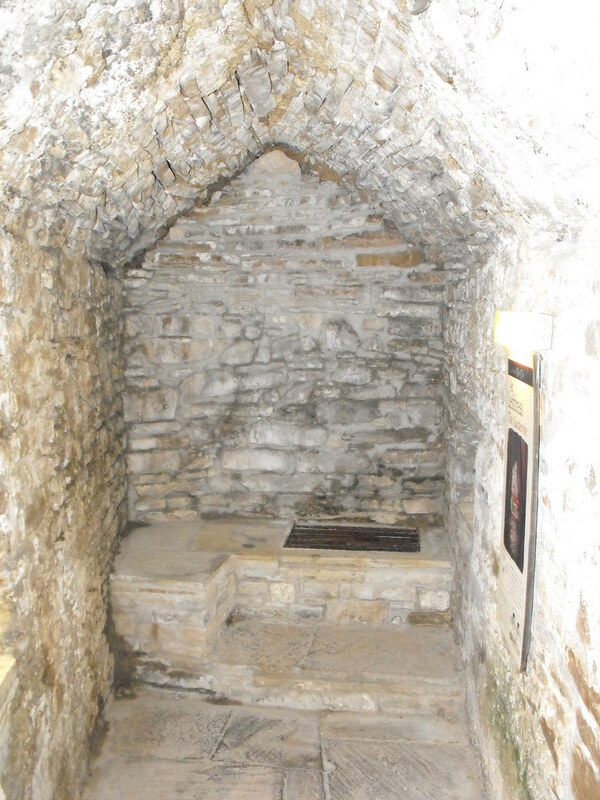 The garderobe behind the main hall on the first floor. The second floor which serves as a partial museum. 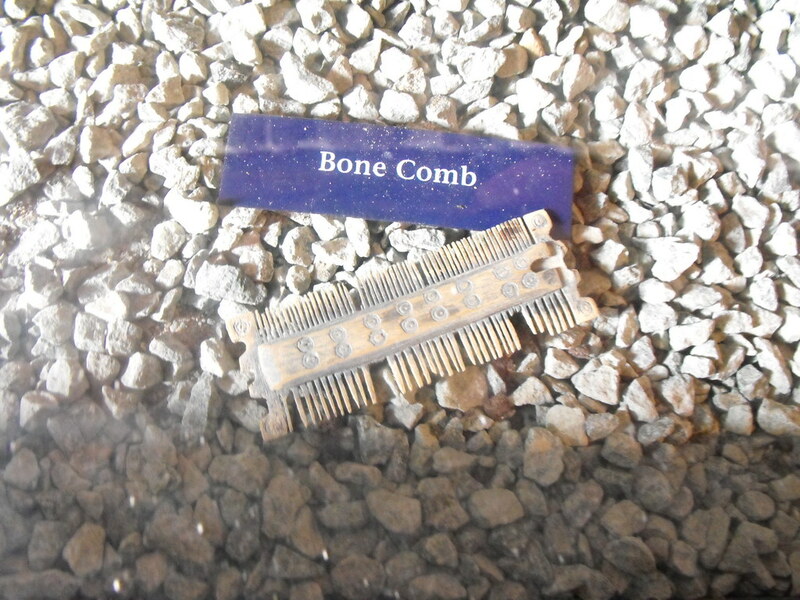 One of the many archaeological finds on display in the castle. 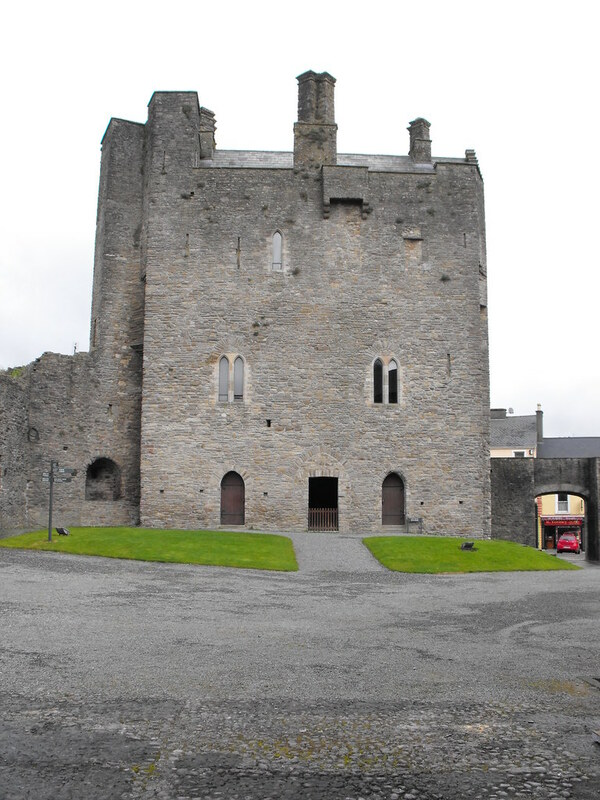 Hi there, great to see this site - I went to school in Roscrea, and we used to hang around the castle during our breaks in the days before it was done up. Hi Martin, thanks for your comments. I would have liked to see the castle before it was restored. Have they made any drastic changes in your opinion?